Entries open for the East Anglian Dragon Boat Festival this August! 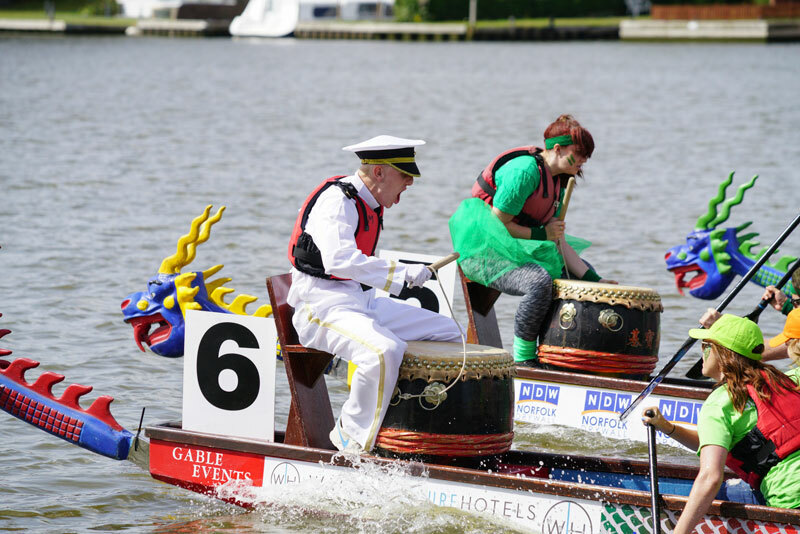 Entries are officially open for the 2019 East Anglian Dragon Boat Festival which returns to Oulton Broad in Lowestoft on Saturday 31st August sponsored by Warner Leisure Hotels. Specialising in UK short activity breaks for grown-ups, Warner Leisure Hotels offers holidays for adults in 14 country and coastal properties around the UK. Included in their portfolio of hotels are Gunton Hall and Corton Coastal Villages, both in Lowestoft, who have been keen supporters of the Festival for many years. The 2019 Festival will be the fifth year running that Gunton Hall has entered a team and the fourth year for Corton Coastal Village. The rivalry between the two holiday parks on the water continues to grow and this year two other Warner resorts, Thoresby Hall, Nottinghamshire and Bodelwyddan Castle in Wales have come on board to race against them! As last year the Festival will be an open charity event with entrants invited to raise money for the charity of their choosing. Teams opting for the popular gold and silver entry packages, which include a charity donation as well as marketing benefits, can also nominate their favourite charity to benefit from their donation. The four Warner Leisure resort teams will be focusing on raising as much money as they can for their partner charity Macmillan Cancer Support. In 2018 Macmillan Cancer Support was not the only great cause to benefit from the Festival as QEH King’s Lynn Breast Care Unit, RNLI Lowestoft Lifeboat, Caister Lifeboat, Nelson’s Journey, EACH, the Big C and Norfolk & Norwich University Hospitals were amongst several charities that received sizeable donations from the teams to help with their valuable work. Carol Lester, Director of Festival organisers, Gable Events, comments, “Entering a team is a great opportunity to try something completely different, bond with colleagues, entertain clients and raise much-needed funds for a favourite charity. We are very grateful to Warner Leisure Hotels for their continued support and guarantee a fun-packed day for all the teams and their supporters”. 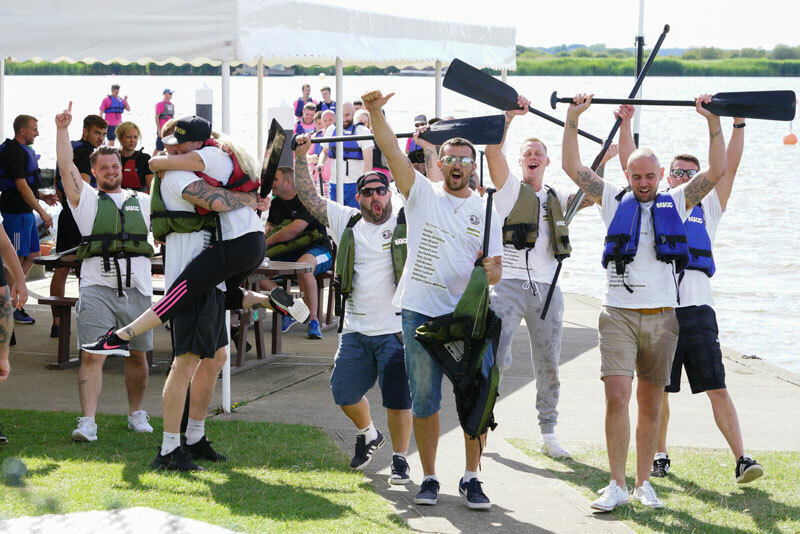 To take part in the dragon boat racing, no previous experience is required, just plenty of team spirit and enthusiasm! The dragon boats, qualified helms and all racing equipment are provided and each crew is guaranteed a minimum of three races. There will also be a variety of bankside entertainment to enjoy such as funfair rides, children’s activities and food stalls. For further information and an entry form, visit www.dragonboatfestivals.co.uk/eastanglia or call Festival organisers Gable Events on 01780 470718. For information about Warner Leisure Hotels, visit www.warnerleisurehotels.co.uk or call 01442 863245.